James Hunt drove Jeremy Nightingale's Imp in the supporting race for the 1970 GP at Brands Hatch. 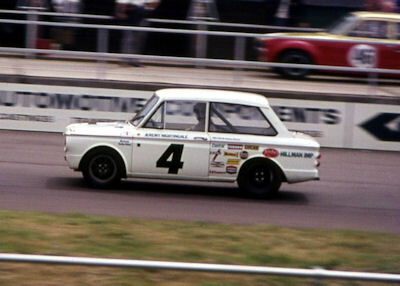 Peter Gaydon/ Glyn Parham wrote: Jeremy's Imp in 1970 was new for 1970 and the Group 2 regulations that had come into force. I know this as dad bought the car (1967 reg. from a little old lady in Tunbridge Wells) and stored it in our garage for 5 months until Jeremy collected it just before Christmas 1969. In return Jeremy invited them on several occasions to watch both him or James Hunt race the car. They were always impressed at how much quicker the car was, when James Hunt drove it in 1970. 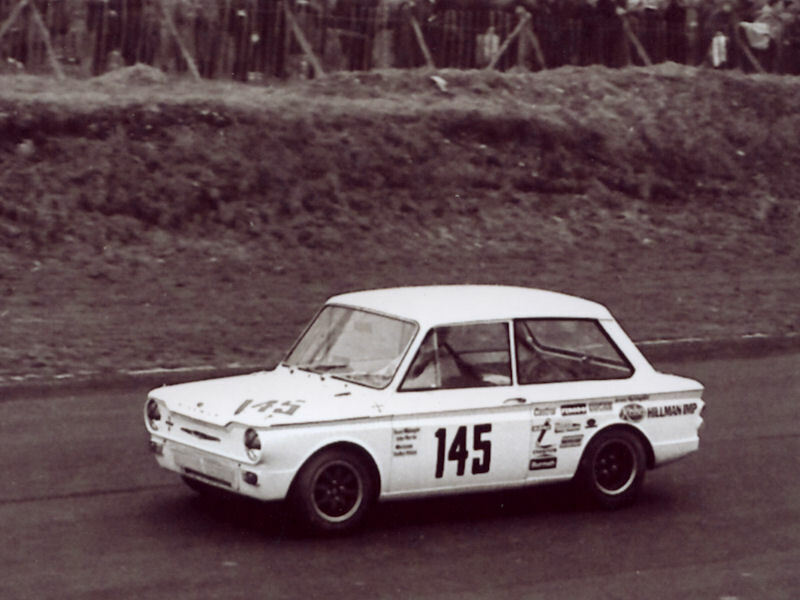 Silverstone International Trophy meeting 1969.